Your working condition will improve. Your anxiety shall get removed. Your father’s health shall improve. You will be in touch with important people who will help you to make your career or working condition. Be cautious about the health of mother. Students can concentrate in their studies. You can get the property on the name of spouse. You will be busy in your work. Your mood will be romantic. You will enjoy the company of your spouse. This year Saturn shall remain in Sagittarius in 10th house. On 23rd March Rahu shall be entering into Gemini in 4th house. On 29th March Jupiter would enter in to Sagittarius in 10th house and would come back to Scorpio in 9th house on 23rd April after turning retrograde. On 5th November Jupiter would again enter in Sagittarius in 10th house after becoming direct. Professionally this year is promising stability, security and balance. Your credibility as a professional would go on increasing. You shall rise with the power of your destiny and Karma. Those in job shall earn reputation and progress and might get transferred. Work cautiously in matters related to property otherwise you would get into losses. Financially it would be an average year. The stability in professional life would consolidate financial position. Inflow of money would remain stable and you would be spending a big amount of it on the celebration of some auspicious ceremony in the family. There are probabilities of sudden development in matters related to house, land & vehicle etc. In the beginning of the year you might plan to build a new office for your work. From family point of view it would be a favorable year. In the family you shall be getting support of your seniors. Be cautious about the health of your mother and child. The favorable transit shall produce excellent results in the enhancement of your reputation. In the beginning of the year you would be worried about your children but after 23rd march planetary transit is favorable for the progress of children as a result of which you will be contented at heart. Your children of marriageable age would get married. The time period appears to be average for your second child. Health won't remain good in the beginning of the year therefore be cautious and disciplined in following nutritious and balanced diet chart. You might suffer from trivial health related troubles however your working efficiency would remain intact. Abstain from mental tensions and rectify your problems with practical approach. There shall be an enhancement in mental peace, happiness and positive thinking. You would be taking interest in Yoga and meditation. The beginning of the year won't be very auspicious for students. You would be disinterested in your studies. Possibilities of being successful in competitive examinations are not much. The transit of Jupiter would activate your destiny, extension of help from your senior officers. Those in job would do average whereas the pursuit of higher education is likely to gain momentum. The transit of Jupiter this year is absolutely auspicious for performing religious activities. You would be devoted to god very strongly and take interest in Mantra chanting and Guru Deeksha. 1. Offer water to sun daily. 2. See your face in mustard oil and donate the same in a temple on every Saturday. 3. Donate blankets and black articles of use to poor people on Saturday. 4. Wear DurgaBeesaYantra in your neck and chant Sridurgakawacham daily. 5. Chant following Rahu mantra daily- "Om BhraangBhreengBhraungSahRahveyNamah"
Pisces is the sign of mysticism, mystery and the spiritual unknown. Pisces live in two worlds, the real world and the spiritual or mystical world where they interpret what they see into what they want. They do this to avoid all the realities of pain and suffering in the world. They have extremes of emotions and feel both good and bad intensively. Pisces have formidable intuitive ability. Most Pisces are somehow involved with occult or spiritualism. Pisces are very good at understanding people for they have the ability to delve into the psyche and see behind a person's motivations. Pisces are prone to drug addiction and indulging lifestyles because of their eternal search for themselves and their fear of confrontation and having to change a situation, also they justify drug use by allowing it to get closer with their 'spiritual selves'. Once they aware this is why they are doing it, it will be easier to kick the habit. 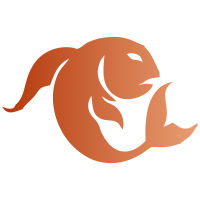 Pisces are not the pushovers that they may seem, in fact they have strength of character and will stand up for what they believe in and and they can do hard work for something they believe in. They can be very lazy but only in matters that they do not care about. Pisces is the most sensitive of all zodiac signs. They are imaginative, compassionate, adaptable, accepting and devoted. Not an impressive figure. They are restless, imaginative and romantic Upright, honest and humane with changeable temper and swayed by opinion of others. They lack self - confidence. Extremely sympathetic, forgiving, generous, honest and reliable. Understands own abilities and this quality stands as an impediment in progress. Orthodox, extremely superstitious, reserved, God fearing, rigid in observation of religious customs and practices. They cannot see sufferings even in animals and renders assistance. Lacks ambition and finds difficult to make speedy progress in material zone. Pisceans prefer to stay in the world of their imagination. They are highly intuitive and remain in their own world of mysteries and imagination. They are highly emotional, honest,generous and good people. Two occupations, adept in any new branch he pursues. Make good employees. Pisces are inclined towards charitable work and philanthropic activities and their efforts make the world a better place. The career that would typically suit a Pisces-born are entertainment and media industry; creative field – writing and poetry, interior designing, architecture, etc. Proves successful in transactions dealing with liquids and spirits. They gain in export- import business. Happy married and domestic life. Prefers beauty of partner, intellectual pursuits and fine arts. Often two marriages, influenced by partner. They are liable to suffer from gastric troubles and injury in the ankles and feet. Short, full and plump figure with considerably small hands and feet, soft and silky hair, fair complexion, sparkling face, attractive and handsome, eyes big and protruding,shoulders muscular and spherical , dimple chin.